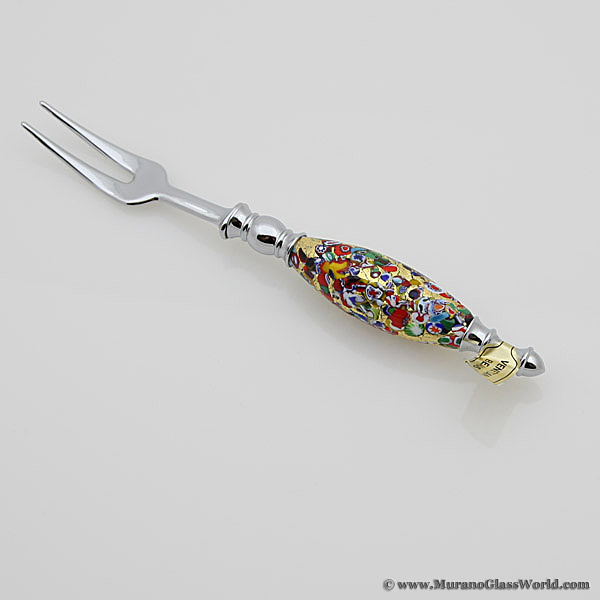 This beautiful cake or bread knife spells European elegance and tradition in the dining room. 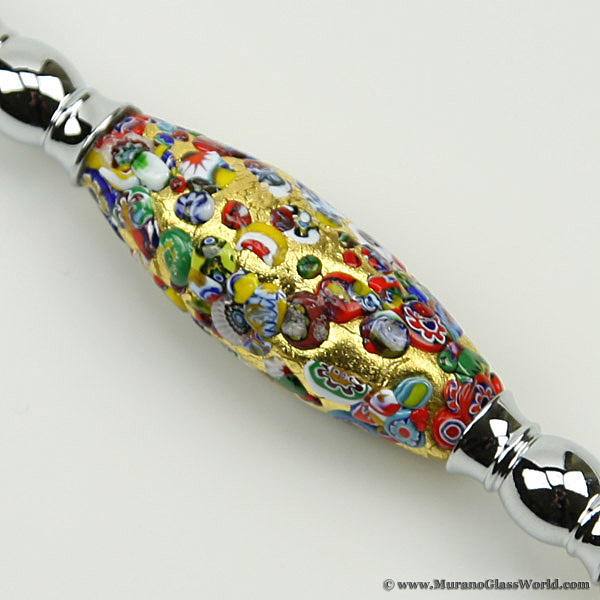 A perfect gift for those who like to entertain or just enjoy beautifully served meals, this knife features genuine Murano glass handle made in mosaic technique over the 24-Karat yellow gold leaf. The resulting design reminds of the paintings by Klimt and brings the same richness of hues and sparkles of gold to your dining room. 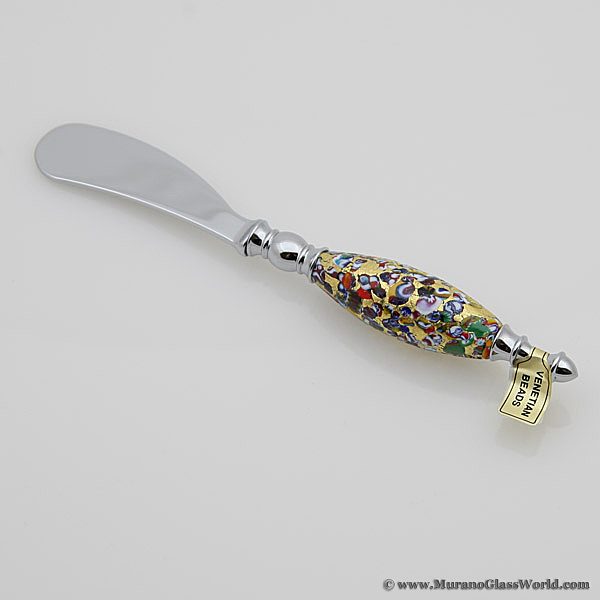 This knife, especially when paired with the cake server, also makes a perfect wedding accessory for ultimate elegance at desert time and for the lifetime. 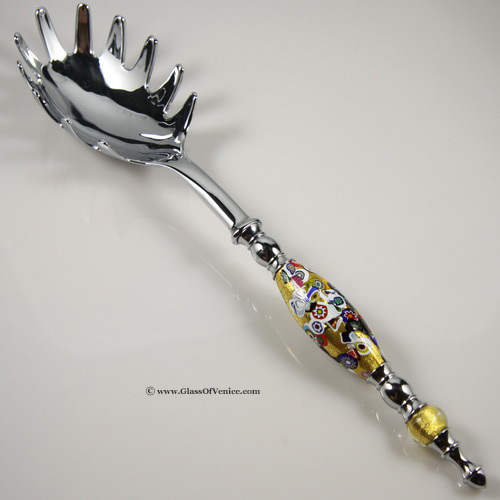 This piece features chrome finish and measures about 13 inches in length.